Is It Too Early for AC Maintenance? Winter is officially over! Well, okay, we still might be in for a couple of cold spells and the weather can always take a turn and surprise us later in the spring. But, the fact is that soon enough you will need your air conditioner on a regular basis each day. Many homeowners are hesitant to schedule maintenance services for their air conditioners. We get it, it might seem unnecessary if there’s nothing visibly wrong with your system and it’s not showing signs of trouble. But trust us, your tune-ups are essential to the overall efficiency and effectiveness of your air conditioner. So if you’re ready to start thinking about warmer days, then it’s time to contact a pro from our team. But, how does this service benefit you? 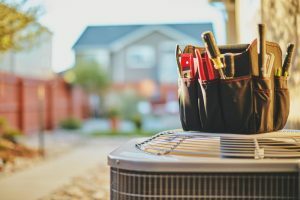 Posted in Air Conditioning | Comments Off on Is It Too Early for AC Maintenance? 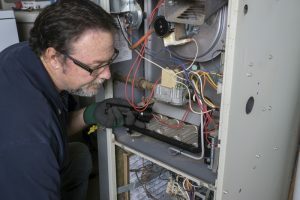 If you’ve just had your furnace a few years and it starts experiencing an issue, such as making a strange noise or blowing out cool air, then you know that it’s a repair need. But what about when your furnace reaches the point that repairs are just a temporary bandaid for the inevitable? At what point do you stop calling for repairs and instead start researching your replacement options? That’s the question we’re going to look at here today. It’s the biggest question you’ll have to face with your furnace after all, so we want to help ensure you make the best choice for your home and your specific needs. Our service techs have a lot of experience with these systems and will not lead you astray! Read on to learn some of the signs that it is, in fact, time to consider furnace replacement.